While in NYC, we shopped but I barely found a thing! I will film a haul of the stuff I bought but it wasn’t much, and after spending over an hour in the Victoria’s Secret fitting room and leaving with nothing, needless to say, I was pretty disappointed. Since we are headed to Barbados next month, I’m itching for some new swimwear and the stores are slowly phasing their suits out so time is of the essence. I’m happy to say I had mad success at Ardene (I haven’t even showed everything I purchased above as I will film a separate haul for that; and as an aside, I tried on about 30 suits and many didn’t work too) and that their swimsuits are currently 50% off so basically I spent $8 per piece. 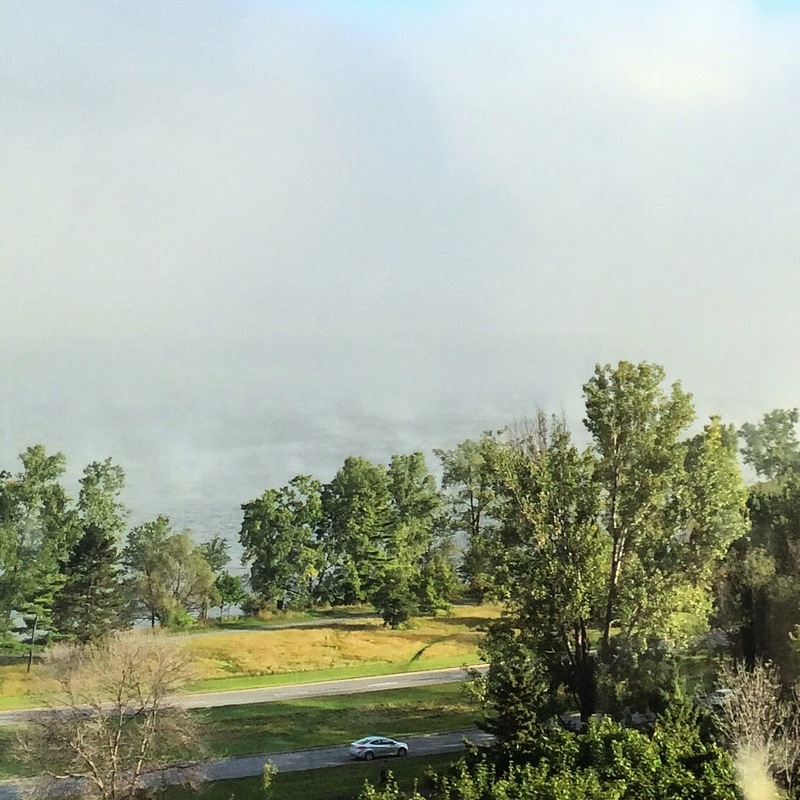 The view from our place–fog over the water which looked cool–and of course while it’s sad when vacation ends, it’s good to be home. 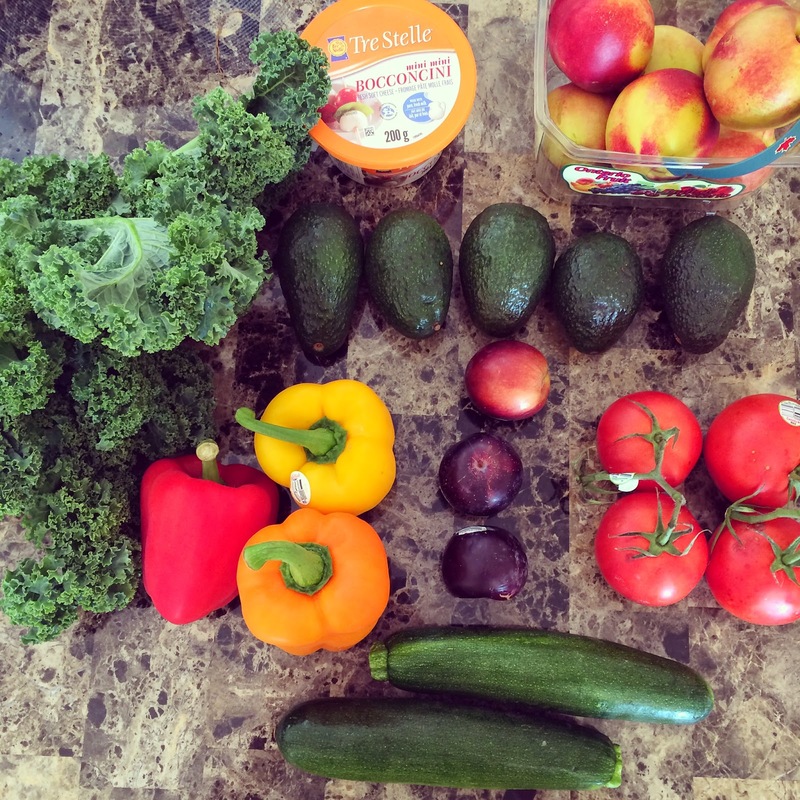 A very simple grocery run to get us through the evening and beginning of the week. 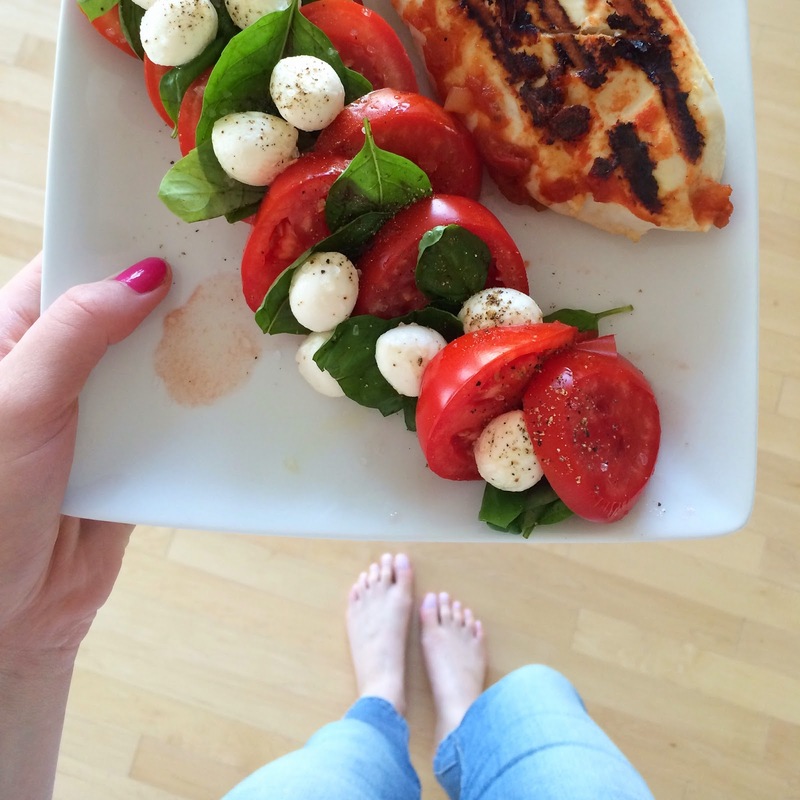 First home-made meal in days; I grilled some chicken and made a Caprese salad–of course–with basil from the rooftop garden (seriously can’t get enough of this summery salad). Outfit deets: Dyamite thin-knit sweater (old), F21 skirt (last summer), Lululemon gym bag & sunnies from Canal street. I bought a mirror for my closet room! Yipee! While this shot showcases my current messy closet and unpacked suitcase, it’s what I wore on Monday (which isn’t technically the weekend, but whatever). See a picture of the mirror here. 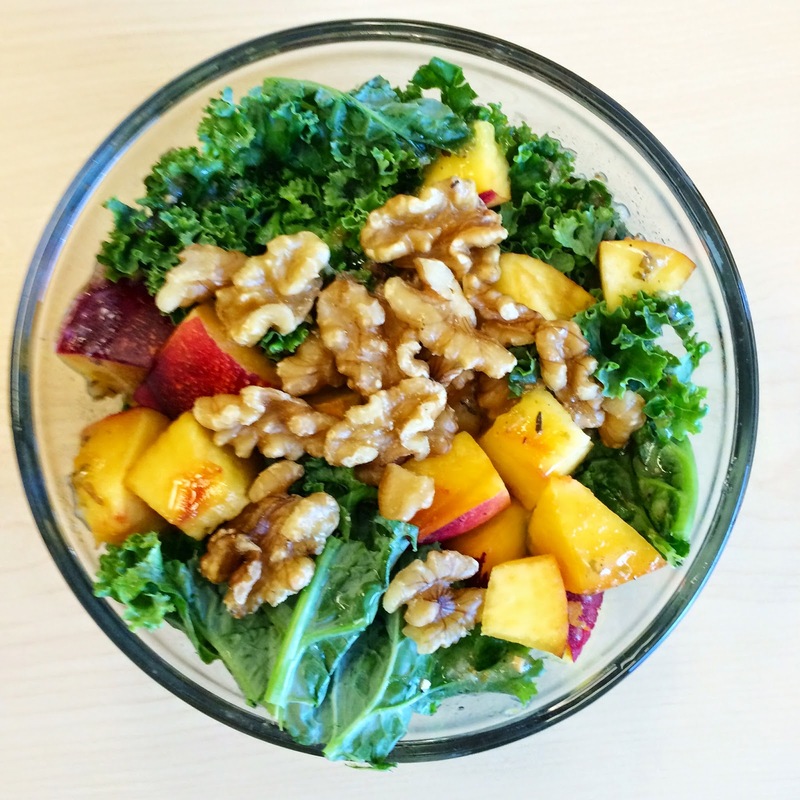 Finally, I whipped up this salad for today’s lunch with grilled chicken (in the bottom), kale (which is not my favourite, but I’m trying #keepinitreal), nectarines, walnuts and a Greek oil dressing.